We are going to learn how to configure SAMBA Server in RHEL7 / Cent OS 7. Its used to share file and printer sharing over the network. Now a days its used as Domain controller like Windows Active Directory. Will integrate SAMBA Server with Windows Domain as a Primary domain controller or as a domain member. nmbd: This is for NetBIOS to IP Address service and Mapping NetBIOS Compluter Name to the TCP/IP IP Addresses. Below command will install all the packages which is required for samba server configuration. check for the existing group and permission details for the directory. Now again check for the group and permission for the directory and it’s changed. Create a new user called test and add it to our newly created group which is called samba. Then set the samba password for the user. We are going to edit this configuration file. Before that its advisable to take backup of configuration file. make the below entries at end of line. Comment: This will explain the operation what we are doing like sharing directory or sharing printer. Valid users: Here we can mention the users and groups who has permission to access this directory. Writeable: i am giving yes, because i need read and write both permission. Public: We are not going to share this directory for all users. So, we should use no option. In the same smb.conf file we should add our interface name and IP Address to allow the network in samba server. And one more entry is very important that we need to mention our windows machines workgroup name. First we will use default one. If the windows machines are falling under different workgroup name. Then we have to change the workgroup name in this configuration file. We can add the services in /etc/services file. Now start the samba service and enable the service permanently on this run level. Same like that start and enable nmb service. Add the firewall rule to allow the samba service via firewall. In RHEL 7 firewall has been shipped from iptables to firewalld. [root@server ~]# systemctl enable firewalld Created symlink from /etc/systemd/system/dbus-org.fedoraproject.FirewallD1.service to /usr/lib/systemd/system/firewalld.service. Now all the configuration has been completed and will check in windows machine whether the samba is working well or not. Connecting SAMBA server from linux client machine. samba client should be installed in linux client machine. -U : Option to mention the user name next to this which has access to this shared directory. above command will help you to show the content of shared directory and to do operations over their. We successfully configure SAMBA server. Thanks for the support. It’s a network protocol used to assign IP’s to the client dynamically over the network. After installing package it will create one empty configuration file /etc/dhcp/dhcpd.conf and we have one sample configuration file under /usr/share/doc/dhcp-4.2.15/dhcpd.conf.exmaple. So as first, append the content from example file to original file using cat command. First will give basic configuration which will be common for your network. Now make subnet details in same configuration file. If you wan to assign a static IP to a client using DHCP service, use the below command. Restart the dhcp service now to complete the DHCP server configuration. To check dhcp we should login in client machine which is in same network physically and edit the interface configuration file to make dhcp ip assigned. DHCP Configuration has been done. Do practice well. All the best. First we make sure the firewall service is running before going to do any work related to ports. Now we came to know that currently firewall is running and will check what are all the zone’s available and in public zone what are all the ports enabled/Listening, using below commands. From the output we came to know that there are none ports enabled. So, will see how to enable a port. For example i’m going to show you how to enable 8080(TCP Traffic) port. –permanent: This is used to make the change permanent after rebooting the system. –zone=public: We are enabling the port in public zone. –add-port=8080/tcp: port number which we are going to enable. We must reload the firewall configuration to make the changes effect in current session. However it will take the effect by next booting. Again will check for the enabled ports status in public zone after this changes. It shows that 8080 port has been enabled. I am going to show you how to remove the enabled port in firewall and as i said will reload the firewall configuration to make effect in this session. Then check for the status. We can get the list of zones where we have assigned interfaces and sources. To get the which zone is associate with a interface. Here i’m taking enp0s3 interface for test. Command to get the permanent configuration of a zone. Here i’m taking public zone to test. We are going to see Docker installation in RHEL7/ Cent OS 7. Docker packages are available for RedHat Servers and RHEL Atomic Host editions alone not for other workstations or other variants of RHEL. In this installation method internet is mandatory. Docker installation using native docker script is straight forward method. Using “curl” will install the docker. Before installing docker, first check curl package is installed on your system. Use the below command to install the docker. Now will enable the docker permanently in this runlevel and will start docker. Docker has been installed and now will check the docker installation here. Domain Naming System is a naming convention for computers, which is connected to the internet. Its not possible to remember all the web server IP Address. So, here its comes as a resolution for this. Because, It will translate from the IP Address to Name and Name to IP Address. We are going to see how to setup DNS in RHEL 7 and Cent OS 7. We are going to configure the “/etc/named.conf” file for BIND configuration. open the file using vi editor and comment out two lines like shown below. This lines allow your DNS to listen all the IP Address. And the zone file information will be available in “/etc/named/rfc1912.zones” file by default. Here we should modify the entry based on our requirement. Note: This entry contains the forward and reverse zone file names. This file location included in “/etc/named.conf” file. Find the below screenshot. Now save and exit from the “/etc/named.conf” file. edit the “/etc/named.rfc1912.zones” file to provide the zone file information entries. And make the below entries or modify the existing one based on our requirement. create a forward zone file with “fwd.lbcdomain.com.db” name. Provide the below entries to complete the forward zone configuration. lbcdomain.com. IN MX 10 mail.lbcdomain.com. make the below entries in reverse zone file like below. We completed all the configuration and we should restart the bind service. Make it enabled in system startup. Note: In my infra i took this network adapter configuration file for this ifcfg-eth0. This might vary in your systems. Save and exit after making the entry and restart the network service. Will receive the below output if working good. Check in reverse from IP to Hostname to confirm whether the reverse lookup is working fine not. Boot the system and wait for GRUB menu. On some Operating systems you need to disturb the booting by pressing any keys in your system. Highlight the first line which is pointing the Operating System entry like showed in the above image and press “e” key in your keyboard to edit manually. Than will get the below screen. Using delete/backspace keys manually delete “rhgb quiet” entry and append “init=/bin/bash” entry like below. Than press Ctrl+x to reboot your OS with specified option. Once rebooted, will get a shell prompt without credentials. check whether the root filesystem has been mounted or not. Mount the root filesystem with rw permission. Relabel the SELinux content using below command. Restart the machine using below command. Finally we recovered root password. Now will restart the machine and login with new root password. Hostname is like labeling for Computers/ Other devices which is connected in internet/network. hostname is used to identify/access the computers/devices easily in network. Using “hostname” command will check the existing hostname. Will use this Network managet tool to set the hostname and it will edit the “/etc/hostname” in background. Now the hostname has been changed from “localhost.localdomain” to “server.localdomain” and by issueing “hostname” command will check whether the change has been implemented or not. If the hostname still shows the “localhost.localdomain” old one, we should restart the hostnamed to force the change in hostnamectl. Will check the hostname now. Successfully hostname has been changed. Will see how to fix Failed to start docker.service: Unit not found / Installation of docker in RHEL7.x / CentOS 7.x. 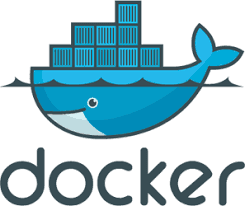 Docker is open source and it will help us to deploy applications over the Linux containers. Docker CLI command line tool will help to manage the lifecycle management of image based containers. Linux container will enable fast application deployment, simplest testing, troubleshooting and maintenance. Check for the installed docker details and remove the docker which is already installed. Now docker has been installed started successfully.